The 2x ED Barlow Lens from Olivon is a telescope accessory used to reduce the focal length of an eyepiece by 50 percent and increase the effective magnification of the optical system. 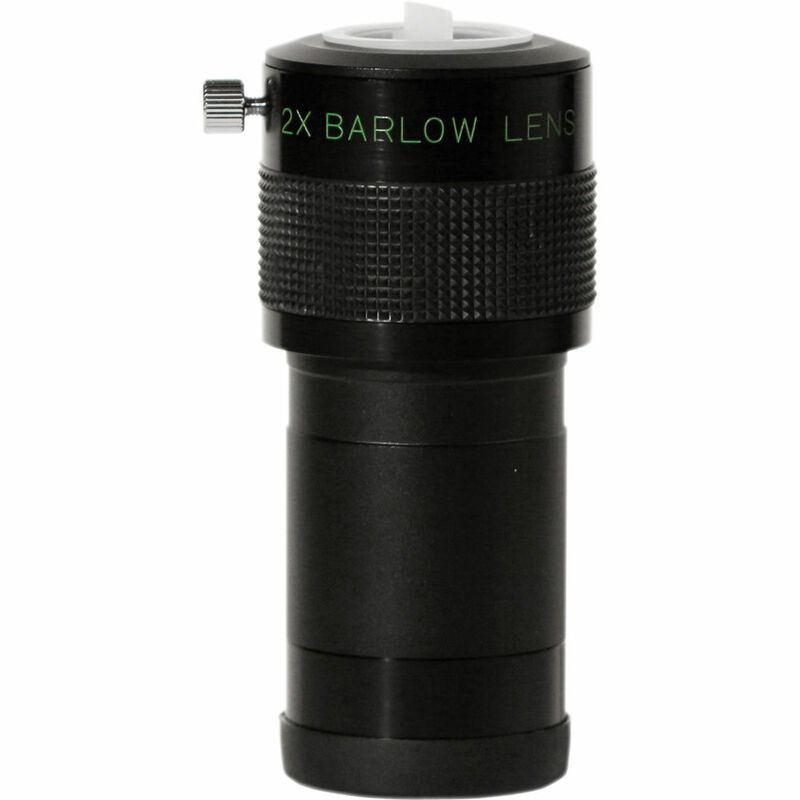 This Barlow is placed between the eyepiece and a two-inch diagonal or focus tube. Although it has a 2" barrel diameter, this accessory can be used with a 1.25" diagonal or eyepiece using a step-down/step-up adapter (sold separately). The 2x ED Barlow features extra-low dispersion (ED) glass as well as a thumbscrew captive and one-piece barrel construction, making this accessory optic reliable, bright and color faithful. Box Dimensions (LxWxH) 6.0 x 3.5 x 3.5"